Noe Rivas explains how he found a dog on his second try during Clear the Shelters at Miami-Dade Animal Services. 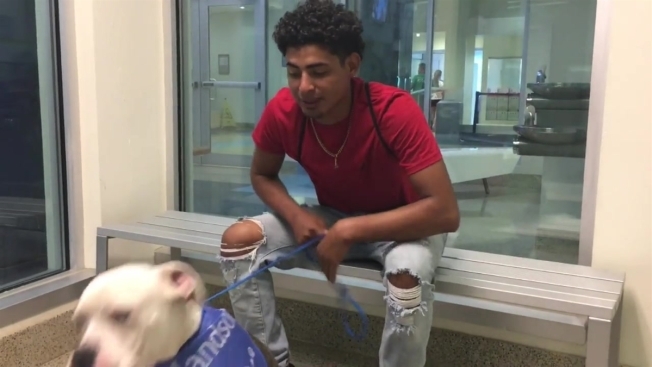 A South Florida man who thought he may have lost out on finding a new best friend during Saturday's Clear the Shelters animal adoption event decided to give the search one more try, and he wasn't disappointed. Noe Rivas traveled from his Homestead home to Miami-Dade Animal Services in Doral where he picked out a new pit bull mix to join his family. He was all set to leave with his new friend but there was one problem: Miami-Dade doesn't allow residents to own or keep pit bulls. "First time I saw a pit bull, full breed, big boy," Rivas said. "Walking out the door, bad news came in telling me I couldn't take him." Rivas was heartbroken and left the shelter. Determined to find a four-legged companion, he returned hours later and spotted Clay, an American Bulldog. Rivas said Clay will join two other dogs he already has at home. Pit bull is general term used to define several breeds of dogs with muscular necks, a short coat and broad chest. The American Kennel Club does not recognize "pit bull" as a specific breed, noting that the two main breeds commonly referred to as pit bulls are the American Pit Bull Terrier and the American Staffordshire Terrier. Both breeds of dogs are actually very loving and intelligent, and only become aggressive when they are trained to be by humans, according to the ASPCA. Cities and counties around the U.S. have breed specific legislation greatly restricting or outright banning pit bull dogs as pets. But according to the ASPCA, laws that ban particular breeds of dogs in the name of public safety do not achieve these aims and instead create the illusion, but not the reality, of enhanced security. In a statement issued in 2013, Obama administration announced its opposition to breed-specific legislation, writing in part that research shows that bans on certain types of dogs are largely ineffective and often a waste of public resources. 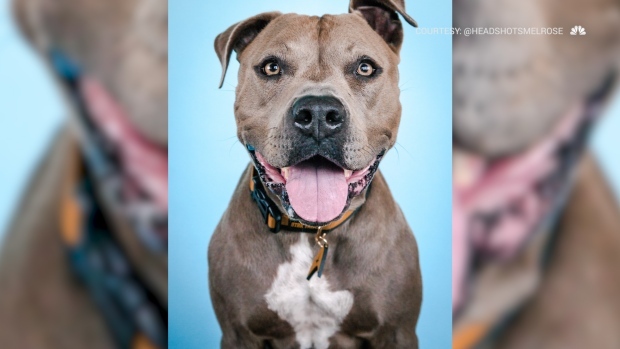 "And the simple fact is that dogs of any breed can become dangerous when they’re intentionally or unintentionally raised to be aggressive,” the statement said.